My wife and I went to Little Talbot Island State Park this Friday in an attempt to see the Snowy Owl that had been sighted during and after the spectacular cold snap. It’s worth it to mention that the last documented Snowy Owl sighting in Florida was in 1994, during a similarly impressive cold spell (although I’ve read that there was a report in 1999 well). Little Talbot is actually quite beautiful, a natural beach that is very close to what coastal Florida was like before tourists, hotels and bad septic systems. But I digress. The owl had been sighted the previous afternoon about 3:30, and the rangers had the area marked off. It was about a half-mile walk to get there from the parking lot. The day started out very foggy. Visibility was less than 50 meters at times, which made trying to find the owl quite difficult. The fog only very barely lifted from the beach or dunes from time to time, up until the time we left. The owl was never sighted, and I believe she probably left now that the weather has warmed back up. A landscape fit for Slenderman. 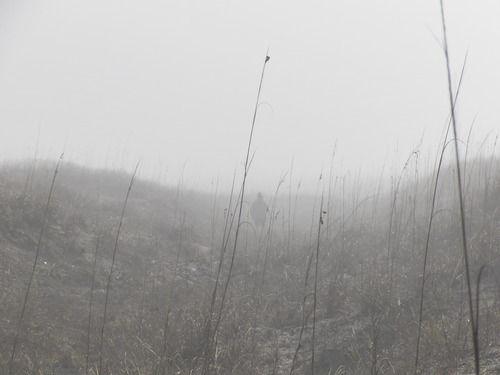 I still managed some bird identification, despite the fog, and documented some interesting behaviors. Most of the following photographs where edited in Photoshop to compensate for the fog. 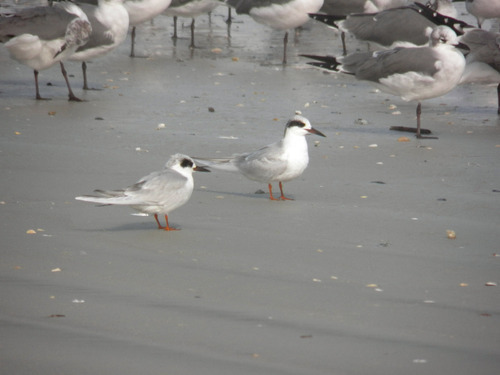 Mixed flocks of gulls and terns congregated in several places on the beach. Some were taking baths in the shallow surf. 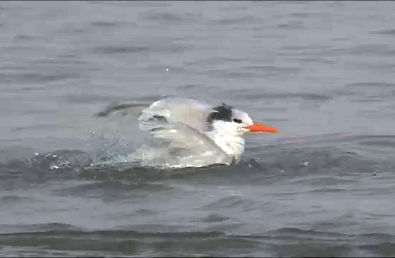 This Royal Tern seemed to especially enjoy it. Among the Ring-billed Gulls and Laughing Gulls there were also some Forster’s Terns and a pair of 1st winter Great Black-backed Gulls. 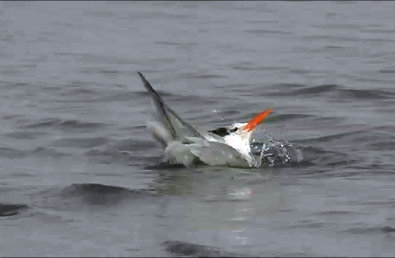 A pair of Forster’s Terns. Great Black-backed Gull, 1st year plumage. 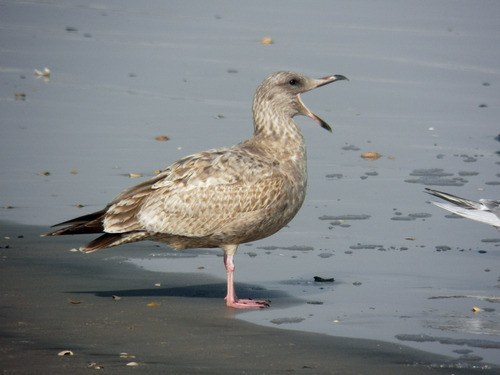 One impressive behavior I saw was when this particular gull yawned. 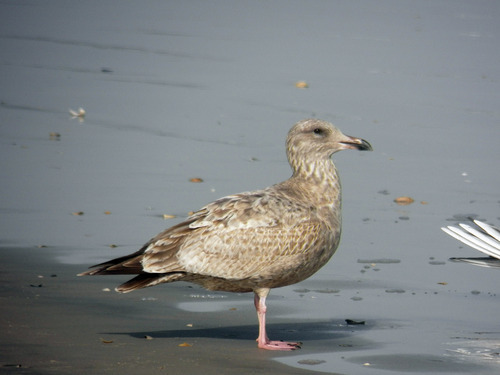 I hadn’t realized how big of a gape gulls have! The only shore birds I saw were sanderlings, and later on a small group of Ruddy Turnstones. The turnstones had me smiling as they did laps around a piece of a crustacean that washed up on the beach, each taking turns until one ran off with it. Ruddy Turnstones at Little Talbot Island State Park on Vimeo. 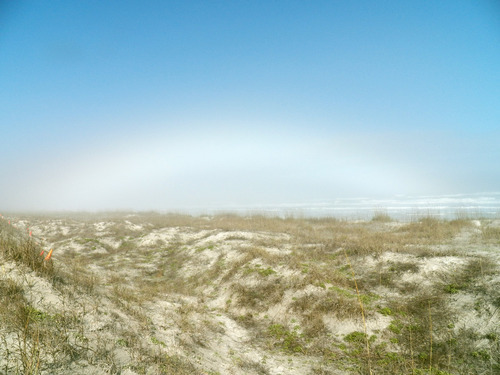 The fog along the beach made for some interesting optical effects, too. Here’s a faint glory (bright colored ring/spot centered opposite the sun) taken from the dunes near the last known Snowy Owl sighting spot. A glorious sight, I suppose. Here’s the complete species list, inlcuding the drive to and from Jacksonville. I’ll have some more photo outtakes later this week, but that’ll do for now. Posted on 2014 January 12 2014 January 16 by Lonely BirderPosted in BirdingTagged fog, Jacksonville, Little Talbot Island State Park, Snowy Owl.